I put Watkins new Orange Citrus All Purpose Cleaner to the test this past week so I thought I’d share the results here with you. First, I used it to clean our RV so it’s good to go for the winter. Then I hit some tough spots around the house. My husband used the travel trailer for a week while he was away with his buddies so the orange cleaner got a good work out. The kitchen was dirty and greasy so the stove, counter top and sink got a liberal application and I went to work. Actually, it worked like a charm, so I didn’t have to work much! 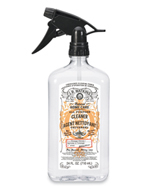 This natural cleaner got rid of the grease and left everything sparkling clean and smelling wonderful. On to the next tough spot, the bathroom! I couldn’t be bothered to run into the house for the Watkins citrus tub and tile cleaner so I used the orange citrus all-purpose cleaner in there too. Again it worked like magic to clean the sink, toilet and shower area. Did I mention how good the RV smelled when I was done? Clean and fresh with a hint of orange, unlike before I started! If all that wasn’t a good enough test, I decided to see how it would do on dirty fingerprints on door frames and light switches. Just spray and wipe with a cloth, easy peasy! It worked for the fingerprints on cupboard doors and for cleaning my kitchen appliances. The best thing is, no fumes or nasty chemicals and it was gentle on my hands. Scent – pleasant orange from natural essential oils. 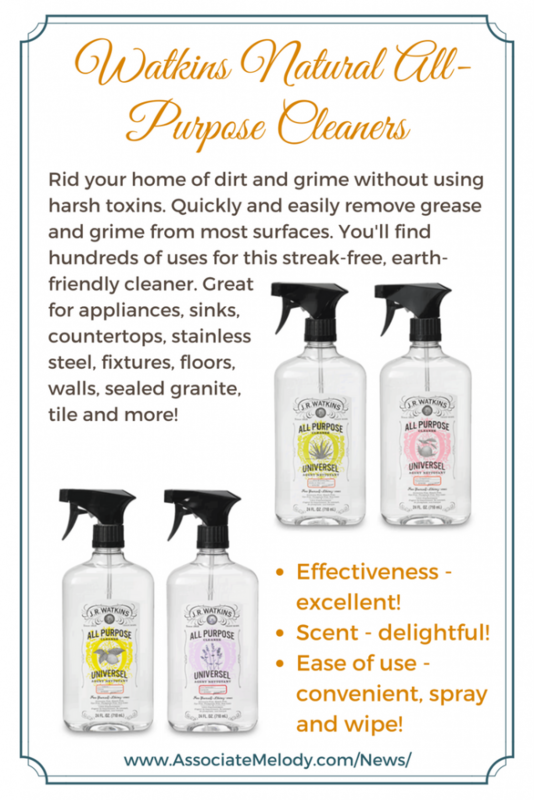 Watkins Orange Citrus scent is no longer available, but we have more delightful, natural scented All Purpose Cleaners available in a convenient spray and wipe formula. Try it, you will find them here. I’m sure you’ll love them as much as I do! Lemon, grapefruit, and lavender are my favorites!